Books After Dark. | Stories that bite back. A long overdue writing update. It is 10:19 am here in New Zealand, and I am on my second pot of tea. I’ve been meaning to write this post for almost a month now, and it is not going to get any easier. On March 9th, I did something that for me was a really big deal. I’ve been out as a writer of LGBTQ fiction online since 2015, but it was only last year, after writing Morgen Prince, that I was comfortable to be out as myself with my writing friends and family. On March 9th, as part of Christchurch’s Pride Week, a Rainbow Market was organised. I signed up for a stall. After a week of pure panic as I ran around getting ready, I was there, standing next to my books–me. I was welcomed. The crowd was fantastic, but it was my fellow stall holders that really made the event for me–there was an energy in the hall (and outside too) that made the place hum, even before anyone showed up. And that energy was amazing. I don’t know how to describe except that it is that feeling when you meet someone and you know you’re going to be friends. It was pure magic, and I came away from the market with an exhaustion headache and a feeling of belong, acceptance and positivity that lasted for days. That was Saturday. On Friday, March 15th, just six days after I had such an amazingly positive experience at Pride, a gunman walked into two mosques in Christchurch. Fifty people who were in a place that should have been safe, in the warmth of their community, were killed, many others injured, and an entire community made to feel unsafe. I’ve been struggling to reconcile the two events. Following the attacks, New Zealanders, especially pakeha (NZers of European descent, of which I am one) especially, have had to take a hard look at our beliefs, our assumptions and our actions, and ask ourselves how our fear, our ignorance, our laziness, our indifference has contributed to rise of islamophobia and other forms of racism in our country. It’s not been an easy process, but the strength and resilience of the muslim community in New Zealand has been incredible and inspiring, and the outpouring of love we’ve seen here has been like nothing else. During this time of grieving, of searching for answers, for trying to find a way forward, I’ve leaned heavily on my writing friends. As current editor of the Romance Writers of New Zealand magazine, I had the opportunity to write an editorial detailing my feelings and thoughts on what romance writers can do. In this, I was inspired by two excellent articles, Elizabeth Kingston’s Romanticizing White Supremacy and K J Charles’ Just How Things Were, both articles I highly recommend reading. While working on the April issue of Heart to Heart, the announcement of the 2019 RITA finalists led to the RWA also doing some serious self-examination. Racism is everywhere in publishing, and the sheer scale of it seems overwhelming. Our courageous authors of colour have been battling incredible hurdles for far too long, and quite honestly it is appalling that they’ve been doing so, and doing so mostly alone. As a writer, I’ve renewed my commitment to writing stories that reflect the richness of the many and varied cultures I’ve experienced in my life. I’ve also been thinking about practical ways I can support authors of colour (inspired by an incredible Facebook post by Kaje Harper). I encourage everyone to do the same. These things may feel small and you may doubt you’re making a difference, but the incredible wall of flowers on Rolleston Ave and outside the Linwood mosque that came to symbolise the love of New Zealanders for our muslim whanau (family), was formed by individuals each with a single bunch of flowers. Given the seriousness of the above topic, I’ve been struggling to blog about my writing here. My latest series is pure, ridiculous escapist fun, and not particularly representative. I released The Secretary and the Ghost March 8th, the day before the Rainbow Market, and went on to have my best ever month on Amazon. On the one hand, I have extremely mixed feelings about the fact that my biggest ever self-published month should happen at a time when so many people are hurt and grieving. On the other, it is moments like these that you really need some escapism. While I think that I can do (and will do) a lot better with Read by Candlelight in future books, I’m going to let the first three be what they are and focus on my future stories. Hopefully, you’ll see more regular updates from me again soon. Sorry for the length and randomness of this, but it–like my pot of tea–has been brewing awhile. That did not happen. Let’s have a look at why. World-build, re-plot and write No One Ever Saved the World by Being Nice. World-built, redid plot twice, and got 50% through No One Ever. edit The Last God. Did not even open once. present a workshop to RWNZ Christchurch about Writer Self-Care. Done! This might have been what saved me. Research for Gentlemen Don’t Murder. Totally forgot about this one. Plot Seasonal Stories 2018. Nope! Car breaking down, requiring waiting hours for assistance, an expensive bill, multiple trips to the garage and lots of waiting around. Losing five hours of work and three quarters of my picked flowers to a frost. Car breaking down again, stranding me between house sits with no car and thus no way of transporting my stuff from old house to new house until tomorrow at the soonest. Two days of being sick. I also came down with a bad case of ‘everyone has it worse than me so I shouldn’t say anything-itis’ which did not help anything. I did not even realise how bad I had it until my sister asked if I was free Tuesday and I mentioned the having to walk half an hour between houses thing, and she was all ‘what, why did you not tell me about this, we can help’ and I realised that yes, even when other people have stuff going on, they still care about my stuff which is really stupid, but I managed to forget that–let’s put that down to June. This June was also gunning really hard for the record of least amount of sunshine hours ever recorded in June in Christchurch–we saw the sun for fourteen hours the first two weeks of June. That’s an hour a day. That’s ridiculous. What kept me sane during all of this? My writing friends. In particular, Sera Trevor and Anne Barwell who messaged me throughout my June ordeal, despite both having June ridiculousness of their own to deal with. The RWNZ Chch crew were fantastic too, particularly in their generous sharing of resources to help with writer self-care. And huge thanks to the Word by Word members last week who were kind enough to commiserate on my really awful week (if only we’d known that was the start!). So far July is going better! Unfortunately, since I did not finish so much stuff in June, it all carries over, along with a side of going to the Marlborough Book Festival. Maybe I can relax in Aug September! Outline and draft Ibiza Remixed aka Holiday Story 2018! To help me make as much progress towards these goals as I possibly can, I’m going to continue to be scarce on social media (ie. Facebook). This wasn’t intentional, but it has been helpful, and if it helps, go with it! I’ve also turned off a few alerts on my phone and switched off my alarm. I live dangerously. Who knows what hour of the morning I may sleep until? May was just as busy as anticipated! I see I left off a major event in last month’s planning post—the birth of my nephew! To be fair, no one was entirely sure when Nephew would arrive, but he is here, he is lovely, and he is working his parents hard. The other major event for May was taking up flower picking. My parents have a small commercial flower garden, and are too busy to pick at the moment, so I’ve been taking on picking, processing, packing and delivering the flowers. While this takes me away from writing for two days, I think this is actually really good for my productivity. I don’t have very good phone reception in the garden itself, so for a good chunk of the day I am out of communication with the outside world, and that alone makes the flowers worth it. Then there’s the birds, the landscape, the fact I’m doing something physical and outside… I come back to my writing feeling refreshed and enthused, and that is great. All that extra thinking time helped me come to a few conclusions. I need to get better at stopping my volunteer activities from taking over my writing time. One of the ways I’m considering doing this is by scheduling my e-mail/social media time, as well as my volunteer things, and not looking at them outside their allotted time period. I’m going to be trialling this in June–Let’s see how successful I am! Publishing Morgen Prince! (May 12th) Done! I am really pleased with how Morgen Prince was doing. Finish The Last God. This is a high-fantasy story set in Ancient Times, and I’m hoping to finish it to submit it to Tor in July. This novella is a teaser for a longer series, so hoping it goes well! Done! It now needs editing, but overall I am very happy with it. World-building on No One Ever Saved the World by Being Nice. I started, but did not get very far. Research for Gentlemen Don’t Murder. Again, I started, but didn’t get very far. It was hard to balance other writing projects with the intense focus needed to finish The Last God. World-build, re-plot and write No One Ever Saved the World by Being Nice. present a workshop to RWNZ Christchurch about Writer Self-Care. Research for Gentlemen Don’t Murder. I’m hoping that as part of my writing-life balance, I’ll be updating this blog more frequently. Until then! It’s been a while since there’s been a new story in the Deep Magic series! I’m thrilled and excited to finally be bringing you Morgen Prince—Duhywynt’s story. This was a steep learning curve for both Duhywynt and his author! I’ve ventured out of gay romance into the wider LGBTQ spectrum, learning a lot about myself in the process. Duhywynt’s been challenged, and if he hasn’t exactly risen to the occasion, he has, in true dramatic morgen fashion, given it his all. I really hope you enjoy the story as much as I enjoyed writing it! Keep reading for a peak at the first chapter! Gorgeous cover by Bree Archer? Check! Duhywynt’s only weapon against the world will cost him everyone he cares about. Duhywynt plans to spend his summer catching the legendary Ceffyl Dŵr and swapping make-up tips with his best friend, Myfanwy—until he discovers his older brother has traded his morgenau heritage for mortality. Worse, Myrhydion is far more concerned with Duhywynt’s lack of social life than his own untimely demise.Duhywynt will do anything to avoid losing him for ever, even if that means faking a friendship with Drew, a tourist. 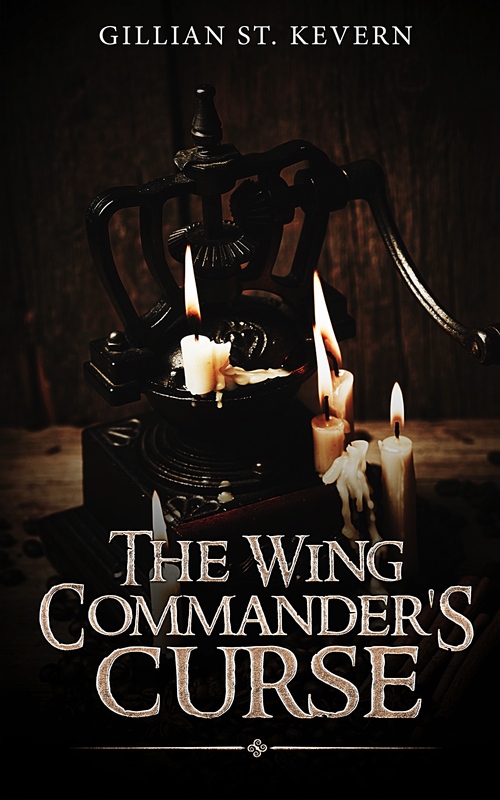 As Drew’s fascination with Duhywynt grows, the prince discovers the deadly legacy of his morgenau heritage, emperilling his relationship with Myfanwy—a relationship with depths he is just beginning to understand. Can he overcome centuries of pain and embrace the unknown, or will his morgenau heritage claim another victim? Morgen Prince is available on Amazon. I just made my to-do list for May. Let’s just say I will not be bored! My awesome niece is having not one but two birthday parties, a Puffin Party for family and a Pony Party for her friends. I’ve been invited to both. Then I’m helping celebrate Ngaio Marsh’s birthday party, attending writing seminars, an RWNZ chapter meeting–all this in addition to my regular schedule of babysitting and volunteer obligations. With all this going on, you’d think I would do the smart thing and put writing on the back burner, right? Finish The Last God. This is a high-fantasy story set in Ancient Times, and I’m hoping to finish it to submit it to Tor in July. This novella is a teaser for a longer series, so hoping it goes well! World-building on No One Ever Saved the World by Being Nice. Research for Gentlemen Don’t Murder. I got some excellent feedback that made me realise I’m not as near to publication-ready as I thought. I’ve got a lot more reading to do, but the possibilities that it’s opened up are really fascinating. While I tackle my to-do list, I’m going to be trying to spend less time online, so you’ll probably won’t see me again until June. I’m trying to cut down on the amount of paper books I have. I’m without fixed abode at the moment, so every couple of months I have to pack up and move house. As a result, I’m limiting my possessions to things I can comfortably fit in my car. My sister and mother have both offered me storage space at their places, but I don’t want to intrude too much on their generosity. Instead I’ve been leaning highly on the wonderful public libraries we have here in Christchurch. To be fair, I knew that going to the Bishopdale Rotary’s annual Book-a-rama would probably be a danger, but I didn’t anticipate the sheer scale of the event. Doors opened at 10:00. I got there about ten past. There were no parking spaces at the venue, or in the neighbouring streets. The recreation centre where the secondhand book sale was held was so crammed with books and people that at one point, I was trapped unable to move for about five minutes because of the sheer amount of people searching the paperback tables. I was exhausted pretty quickly (I don’t handle crowds well), and left without scanning half the tables there. But I’m pretty pleased with my haul! Especially the three Trollope novels which were my main reason for going to the Book-a-rama. A very kind friend read Gentlemen Don’t Murder and gave me a lot of feedback, which can be basically condensed as ‘needs more research and a rewrite.’ She recommended Trollope as an authority on the intersection of class and money in the Victorian mind, and suggested I get paper copies as they were better for note-taking and book marking, which she thought I would want to do. I’m about halfway through an e-book version of Dr Thorne, and I’m itching to take notes, so I’m very happy to have found it in paperback! The rest are a mix of ambition, research, nostalgia and just fun. I’ve got a high-fantasy Ancient World type story percolating, and I’ve been doing a lot of world building–which reminded me of reading the David and Leigh Eddings books as a teen. I’m not sure how well they’ll hold up to an adult reading, but either way, it will be interesting and hopefully informative to see how other writers handle major world building. Marion Zimmer-Bradley comes highly recommended by a podcast I love. Famous Cases of Scotland Yard, P. D. James and the Sophie Hannah Poirot novel, will hopefully serve as further inspiration for Gentlemen Don’t Murder, while the regency Mills & Boons are not only great fun, but will hopefully be good examples of how to keep to a brisk story structure without compromising on world building and historical accuracy. All this—and they had a sausage sizzle outside. Christchurch people, the Book-a-rama continues Saturday and Sunday at the Bishopdale YMCA, behind the library. I recommend checking it out, but be warned, it is extremely popular! I’m in the middle of doing something quite exciting: editing Morgen Prince. This was not exciting until maybe ten minutes ago, when I suddenly realised how significant the scene I’m working on is. On one level: It’s nothing really. Duhywynt has been cruelly forced to visit Bardsey Island with Myfanwy and a tourist, Drew, who wants to be friends with him (oh, the humanity!). On another level, it’s everything. This is me writing about something I could only dimly imagine writing about when I first plotted Deep Magic. I sensed the seeds of this were there, but I couldn’t have articulated this—and I would have run a thousand miles before trying to write it. So what’s the thing? It’s only Duhywynt rejecting the labels suggested to him in order to be true to an identity he hasn’t fully grasped yet. To many of my readers, this will mean nothing, but right now it meals a lot to me—because it’s the first time my truth has shown up so openly in something I’ve written. This seems really weird, given that I am so strongly drawn to writing LGBTQI stories. I’ve been thinking about this for a while, and I think the reason is that my experience of being ace or being bi doesn’t match the experiences I see expressed in the blogs I read, twitter feeds I scan, Facebook communities I join, books I read or media I consume. And I really hate to disagree with people–like, really, really hate to disagree. So rather than risk making people feel like their experiences weren’t valid, I’ve avoided expressing my truths openly—and in the process, I’ve invalidated myself. I’ve been slowly coming to the realisation that my truths are important, even if they don’t resonate with everyone. Embracing them will make me feel whole and will give permission to others with different truths to express them in their way. Again, as obvious as this may seem, this has been a long time coming… Too long, probably, but I am a work in progress, and no where near the end of my first draft so I’m going to forgive myself. This is pretty much exactly how I imagine Evans Oliver.